INTERMAT will be the essential must-attend event for all construction industry professionals. enjoy Paris, a world-renowned destination for business events. INTERMAT the construction trade show strongly supports and promotes innovation capable of bringing transformational change to worksite methods and processes in the years to come. A unique concept with a total demonstration exterior area of 30,000 sqm dedicated to construction equipment. This crowd-puller gives industry professionals insight into manufacturers’ know-how and the way that plant and equipment is developing towards even better safety, productivity, etc. With the aim of addressing the challenges raised by the digitization of the building and public works industry, INTERMAT Paris 2021 has chosen to shine a spotlight on new technologies developed by companies. 3 themes village with spaces dedicated and many conferences cycles have been set up by INTERMAT and several of its partners : the Start-Up village by EUROVIA, the Demolition and Recycling village and the Building Smart village. 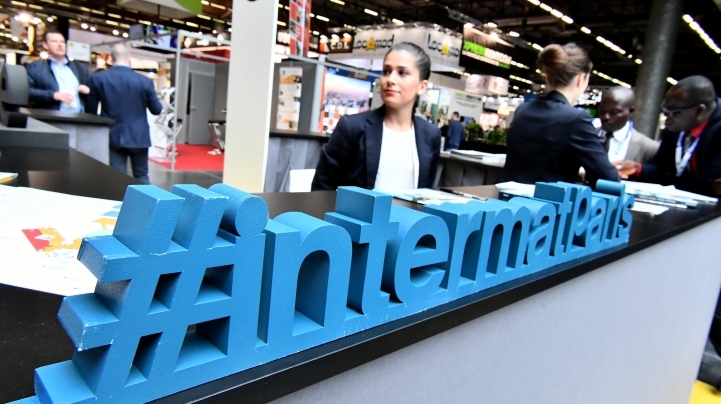 With 70 % of international exhibitors present at the exhibition and visitors coming from all over the world, INTERMAT enable you to meet all the international actors of the sector and to discover their latest services and products presented in country pavilions. Construction equipment rental is no stranger to the strong digital trend sweeping across the distribution sector in general. It is in this evolving and positive economic environment that the 2018's edition of the show was dedicating a special day to the rental sector, INTERMAT RENTAL DAY. A new free service thought by INTERMAT Paris, for exchange between exhibitors and visitors, in a simple and quick way. It is the chance to meet and exchange with all the actors of the construction and infrastructres sector and to maximise your business development opportunities. The INTERMAT Innovation Awards bring together a judging panel made up of European construction industry professionals who appraise and reward exhibitors’ main developments. For the INTERMAT Innovation Awards 2018 edition, 80 products were entered by exhibitors and 12 Awards were presented in recognition of manufacturers’ contributions to innovation. The INTERMAT Innovation Award winners came from five different countries. The next edition will take place in 2021 in Paris! Revivez INTERMAT Paris 2018 en images.